As you know, my dogs are very close to my heart. They are my friends, family, sporting companions and business partners. It has been important to me that they receive the best nutrition that I can give them. I believe by feeding a good food you can feed less volume which produces less waste, prolongs a happier life, better recovery from a hard days work in the field, better health resulting in a strong immune, muscle and bone system which translates into fewer visits to the veterinarian and their costs. I have moved all my dogs to NUTRI SOURCE. I thought I was feeding the best until I was introduced to this product. I like it so much that I have become a dealer. 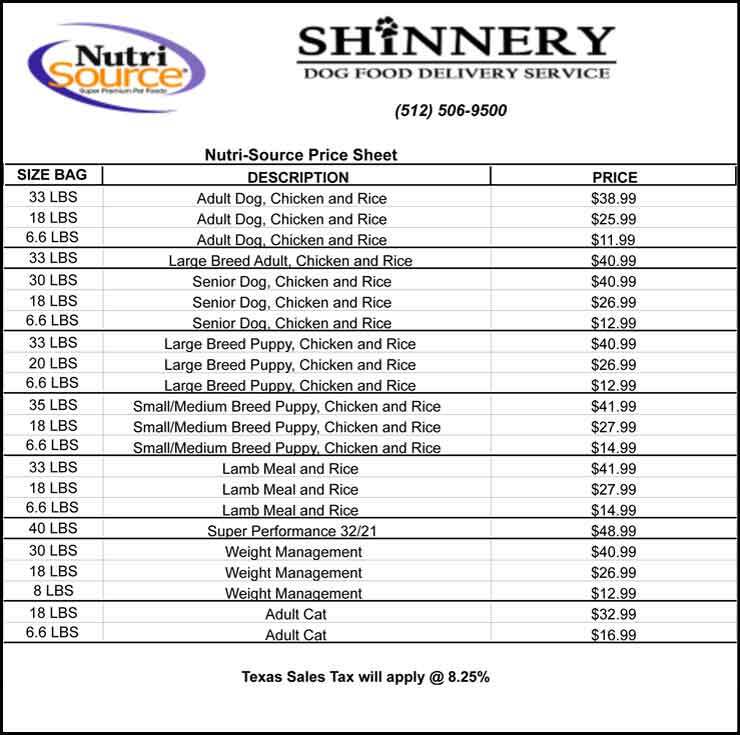 If you aren’t familiar with the line of products, please visit the web site http://www.nutrisourcedogfood.com. NUTRI SOUCE is available for every type of dog, small, large, overweight, working, puppy and senior. We also have cat food for the feline lovers. As our customer, we will sit down and design a plan that will meet the requirements for your animal, including best formula to feed and quantity per month. At that time we will schedule your delivery. Yes, you read it correctly. Your food will be delivered to your door once or twice a month per your preference. This is a free service to the Austin and surrounding area. A small charge may apply for others. No more running out of food at the worst time and having to run to the store. We also have a frequent buyer program where when you buy 12 bags of any one size and variety, you will get the 13th bag free. Along with the NUTRI SOURCE brand, we also have available NATURAL PLANET ORGANICS brand which uses organic free range chicken as it’s #1 ingredient, and PURE VITA brand which is a pure and natural holistic pet food. Our prices compare to leading National Brands. I’ve included a price sheet. We are hoping to make our first deliveries February 17th 2009. To ensure you are in that first delivery, orders need to be received by February 10th 2009. These dates are subject to change. I look forward to your business. 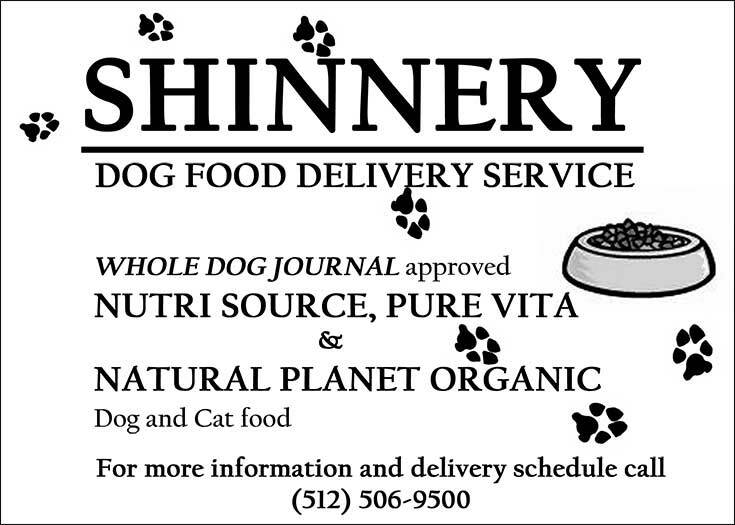 I know your animals will love NUTRI SOURCE and I know you will appreciate the service.